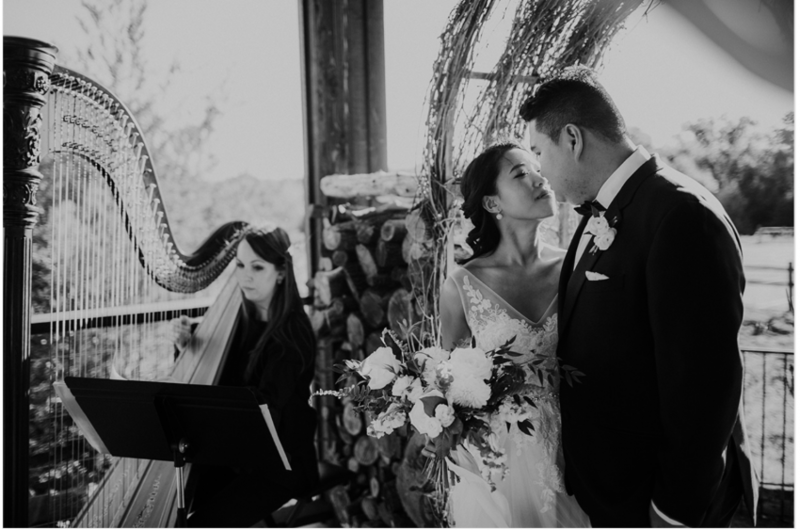 No wedding is complete without a harp! 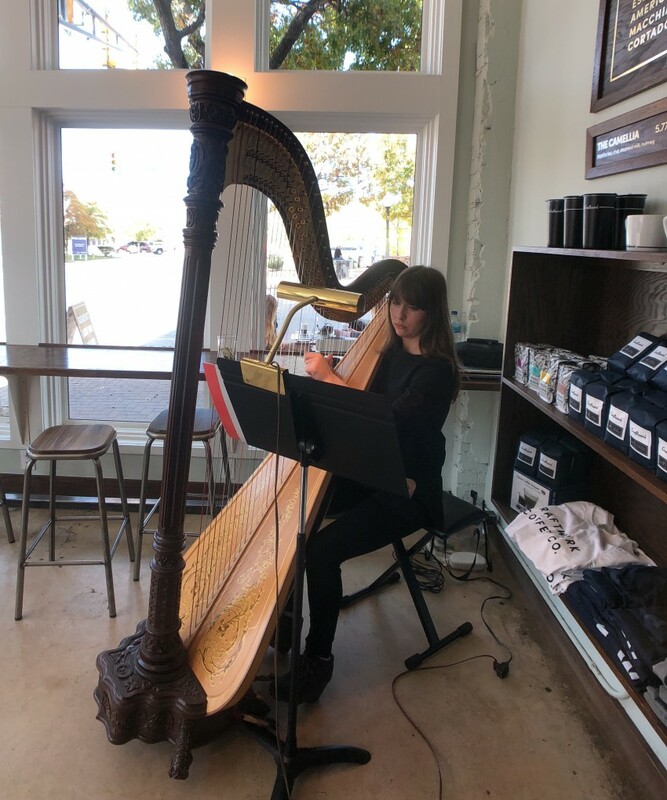 Harp music makes coffee & food taste better! 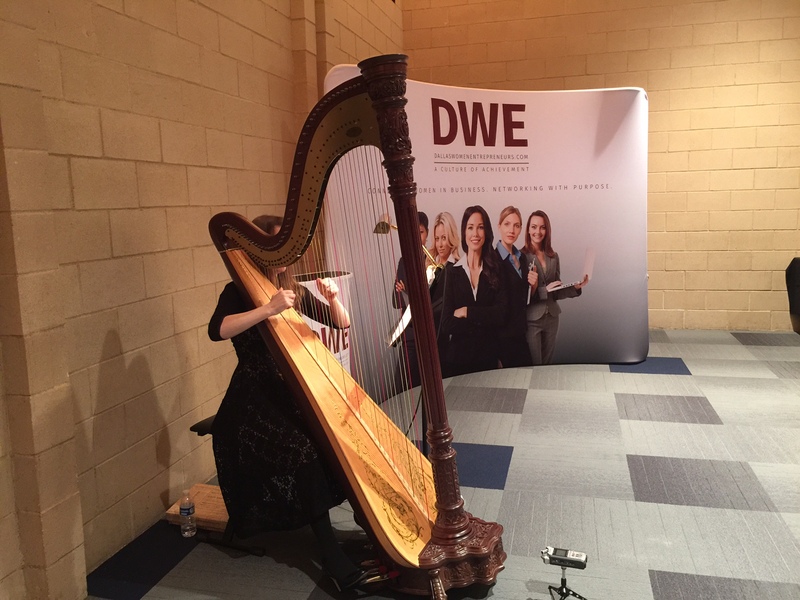 The harp adds both aural and visual beauty! It was a pleasure to play in Fredericksburg! 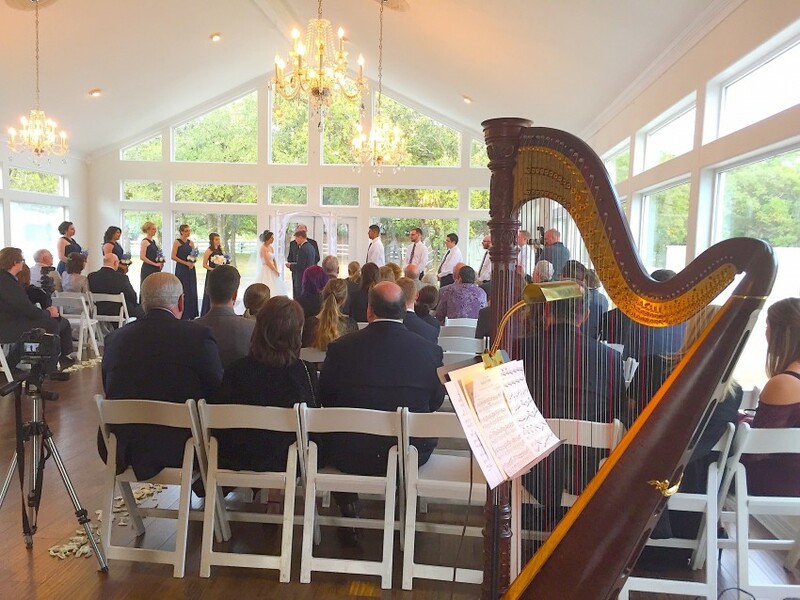 The harp adds visual and aural beauty to any event! The harp complements any & every church service! Bose L1 sound system works in high ambient noise environments. 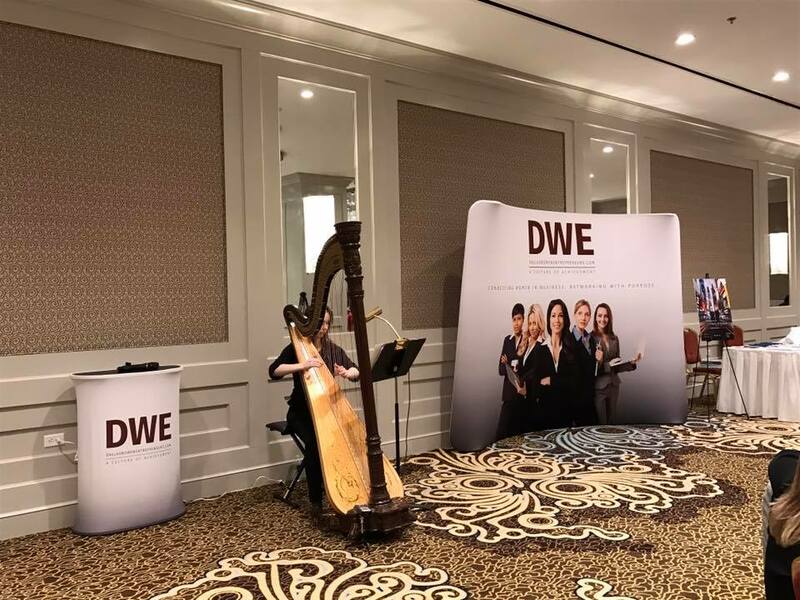 A classically-trained harpist with over a 15 years of performing experience, Brigid will deliver the charm and grace you seek for your event. She has a wide repertoire of classical, light jazz, and pop music, and is happy to just about any music requested in advance. Brigid has played countless weddings, receptions, funerals, church services, and other events. She looks forward to consulting with you to make your special event the best it can be. Thank you, Therese! It was an honor to be a part of such a beautiful, intimate ceremony. Best wishes for a happy and healthy ever after! Brigid was awesome from the moment I reached out to her inquiring about her services. She was genuinely interested in making the night special and was incredibly responsive in the planning phase. She was an integral part to my engagement dinner! She arrived on time with no problems. Many people commented on how much they enjoyed her. Thanks, Tyler. It was an honor to be a part of such a meaningful event. Brigid was so amazing and so helpful throughout the whole planning process! She gave us pointers and ideas on how to make our wedding day so special! She played all the requested songs during our ceremony and did a fabulous job! We recommend her to anyone and everyone and will book again once we need another harpost!! Thanks so much, Stephanie! You had wonderful song selections that were a lot of fun to play. It was a joy to be a part of such a happy event! We had a wedding ceremony at the Dallas arboretum and it just happened to pour out of nowhere and we had to completely change plans to an inside ceremony. Brigid was not only punctual (even with the pouring rain) she played the most beautiful music ever. We couldn't have had such a beautiful ceremony without her present! Thank you, Arnela! It was a pleasure to add to a beautiful ceremony. I'm very happy for you and Esmir! Used her for wedding ceremony. Music was beautiful. She was very helpful and friendly. Thank you, Araceli! Best wishes to you and Noel in the happily ever after!! Brigid played at my Dad's wedding reception. 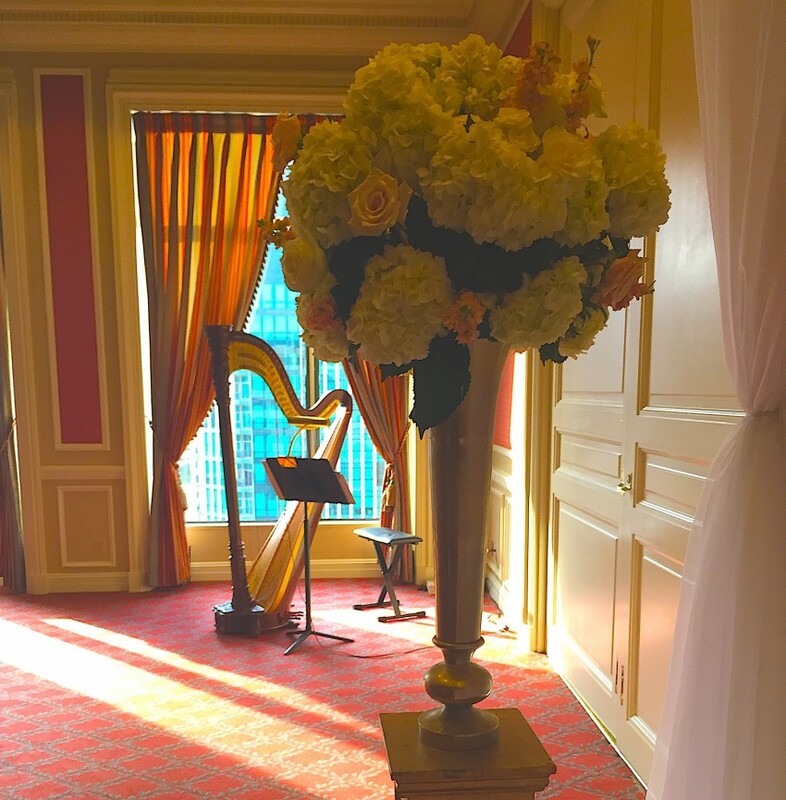 Her harp music made the event and filled the room with elegance and ambiance without being overbearing. She was great to work with and was very flexible as I coordinated the music from out of state. I was never concerned that it would not be wonderful and she followed through and exceeded all expectations! It was a pleasure to play for your dad's reception! Congratulations to the 90-year-old groom!! 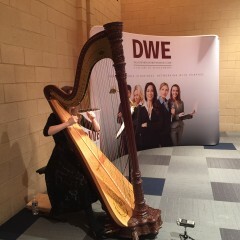 Good luck to your daughter with her pursuit of harp; it was a delight to meet her. Brigid was so great to work with! She was professional, responsive, reliable, and needed very little direction. 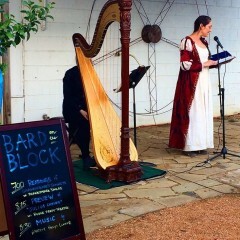 She knew what to play for our Shakespeare themed event, and the crowd loved her! I would highly recommend her for any occasion! Terry, it was was great to work with Little D Markets again! 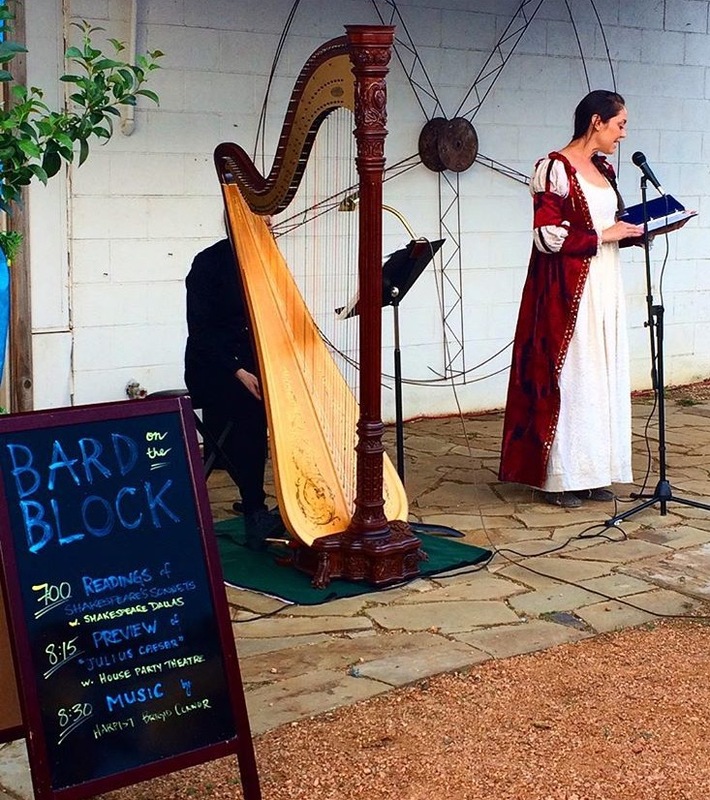 It's uncommon to have a request to play medieval music--but a lot of fun! Completely made the wedding a hit. She plays beautifully and was soothing to all who were there. Guest were highly impressed with her as I was as well. You're welcome, Janet! I was happy to add to the beautiful surroundings. What a lovely reception! Second time booking, will hire again! Great experience, punctual, professional, will be hiring again soon. Thank you. You're welcome, Petya! It's been a pleasure working with you and Dallas Women Entrepreneurs Group. Professional and an amazing artist! Brigid was amazing. If you are looking to hire someone reliable, professional and a great artist, I highly recommend Brigid. The event was definitely elevated by the sound and atmosphere that was created. Thank you, Petya! It was great to be able to add to the atmosphere. You organized the Beauty Expo very well! She is an exceptional harpist and a delightful person, and truly was the highlight of our dinner party. Her presence, exquisite instrument, and expertise created an ambiance that went beyond our dreams. Brigid strives to exceed all expectations. In the booking process, Brigid inquires about specific song requests or genre preferences. She always offers a complimentary consultation in person or via phone or Skype to ensure she properly understands the client's vision. In many cases, the client leaves the repertoire selection to Brigid. But in other situations, the client listens to her recording samples and chooses pieces in consultation with her. In advance of booking, Brigid must know a few details of the performance area: are there stairs leading to this space? Is this area outdoors? This will help Brigid determine what time to arrive in order to set up and tune. She arrives 30-60 minutes in advance of the start time in order to begin playing at the start time. Brigid's primary instrument is a Lyon & Healy Style 23 Concert Grand in Walnut finish. This is an uncommonly beautiful instrument with a rich, resonant sound. If the venue calls for a smaller instrument, she will communicate in advance that she will play on her Lyon & Healy Style 85 Grand Petite in Mahogany finish. Brigid wears black attire unless requested otherwise. All music is acoustic unless amplification is specifically requested. 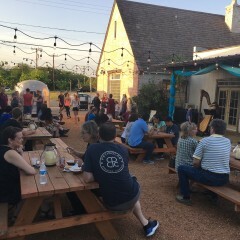 Outdoor events are discouraged due to wear and tear on the harp and frequent last minute changes. $100 fee is added to outdoor events. Brigid encourages any questions or concerns to be freely voiced. She accessible via text, email, and phone. Building on a strong background in piano, Brigid began playing the harp at age 13. 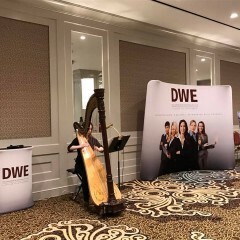 She has studied with notable harp performers and pedagogues Melissa Calusio, Joan Raeburn Holland, Paula Page, Susan Pejovich and Yolanda Kondonassiss. She graduated from Interlochen Arts Academy and SMU's Meadows School. Brigid prides herself on belonging to the Salzedo school of harp, the technique of which leads to a clean sound that allows all the notes to sing beautifully. 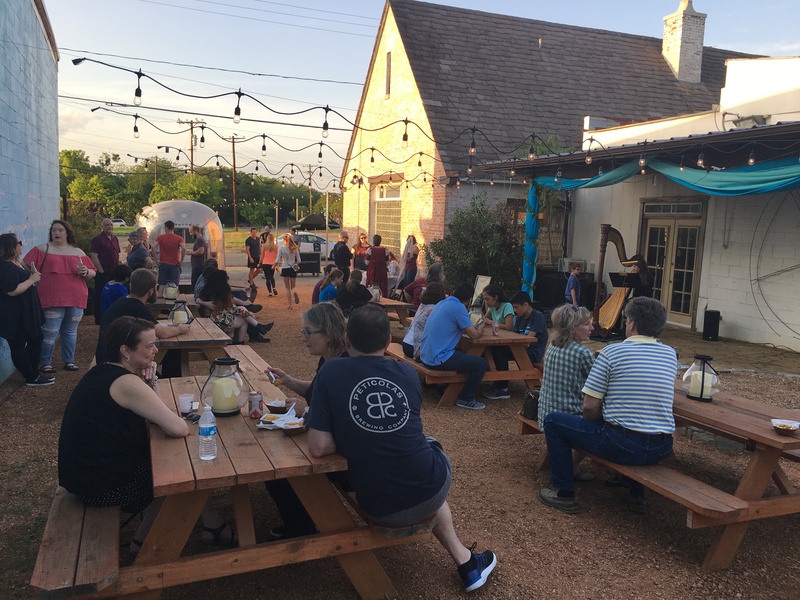 Brigid has played across Texas and the country in solo, orchestral and various ensemble environments at a range of venues. She finds particular fulfillment in delighting listeners by playing their favorite classical, traditional, and light jazz tunes. *If you anticipate ambient noise, communicate that you need an amp. This will require another power outlet. I can also bring a microphone for announcements. The harp pantheon past and present: Carlos Salzedo, Marcel Grandjany, Henriette Renie, Joan Holland, Paula Paige, Yolanda Kondonassiss, Melissa Calusio, David, et al. Great composers: Johannes Brahms, Gustav Mahler, Pyotr Ilyich Tchaikovksy, Nikolai Rimsky-Korsakov, J.S. Bach, et al. None; I bring everything with me.